Discover the different types of wax used to make scented candles in this handy guide. We've answered all your candle wax questions including - Where does wax come from? What's the best wax for candles? And what's the difference between Soy Wax, Beeswax, Coconut Wax and more. There are many different choices when it comes to the wax used in scented candles; some have better throw, some burn longer and cleaner, and some have the eco credentials. It can be a little confusing if your not sure which wax would suit you – so we decided to take a look at all the options to find out which wax is best for scented candles. Broadly speaking wax is a flammable, carbon-containing solid that becomes liquid when heated above room temperature. In other words it’s the candle’s fuel. When the scented candle is lit, the wax melts, is vaporized and combusted, which in turn produces the heat and light. Almost any kind of oil can be turned into a wax, making plenty of choices for use in candles. There are many different types of wax that can be used to produce scented candles. Beeswax has been used in the production of candles for thousands of years, whereas waxes made from coconut and petroleum are modern inventions. Each type of candle wax has different properties, making some better at holding and transmitting fragrance while others excel in burning slowly and producing a smoke-free flame. 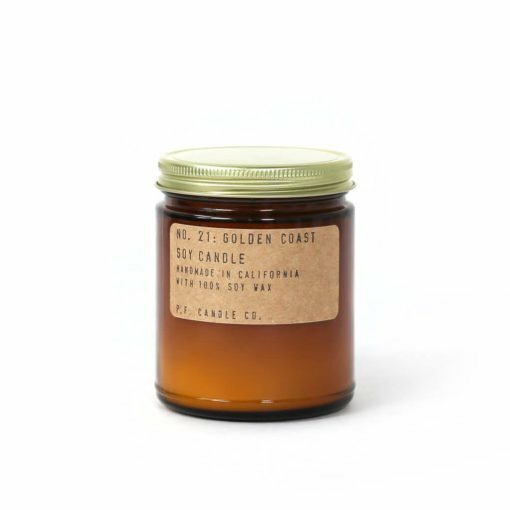 In the sections below you’ll find information on each of the types of candle wax our brands use to create the scented candles we sell at Osmology. Which Candle Wax Is Best? Each type of candle wax has it’s positives and negatives making it hard to pick an all out winner. This is why there are so many different types of candle wax (and candle wax blends) on the market. In the sections below we discuss the benefits and disadvantages associated with each style of wax, allowing you to decide which wax is best for you. Which Candle Wax Burns The Longest? Soy wax is generally considered to have the longest burn time, however each year new improved candle wax formations are being created using new ingredients that allow for even slower burning candles. The length of time your candle burns for is greatly effected by things like where you burn the candle, the temperature of the room, the fragrance oils, wick and container the candle uses among many other factors making it hard to say exactly how long your candle will last. All the burn times on this website are approximations and only meant as a guide. Which Candle Wax Gives The Best Scent Throw? Currently Paraffin waxes are considered the best for achieving a strong fragrance – this is why many high street brands still use paraffin wax in their candles. While paraffin may have reigned supreme for the past decade or so, newer natural waxes such as soy, coconut and rapeseed wax are improving year on year and look set to gain this title in the near future. Well, let’s first off just say don’t eat your new scented candles – they don’t taste as good as they smell! While many candles are made using non-toxic food-grade paraffin wax, an ingredient often found in the production of cosmetics and food, we don’t recommend taking the chance. There are certain waxes that do give off small amounts of chemicals when burning. Paraffin wax has been found to release some volatile organic compounds into the atmosphere when lit, and while these shouldn’t be a cause for concern there are plenty of other wax options for those who would prefer to avoid them. Natural waxes such as soy, rapeseed, coconut and beeswax are the best choice for those wanting candles that burn cleanly without the worry of indoor air pollution. There are even some reports that beeswax can actually help clarify air. We highly recommend seeking medical attention if you begin to feel unwell while burning candles or after accidentally ingesting wax – it may be that you are allergic to one or more of the ingredients used in the candle. Care should also be taken with pets – dogs and cats may find some of the ingredients in scented candles toxic and should be taken to the vet if they display symptoms after accidentally eating your candle collection. Check out our selection of their candles here. Soy wax is used in lots of the candles we sell at Osmology. Many of our candle brands choose to work with soy wax because it is often considered more environmentally friendly compared to traditional paraffin wax, burns slower and cleaner (less soot) and is cheaper than some of the other waxes. Soy wax candles generally have a subtler scent throw as soy wax doesn’t hold as much fragrance – many people prefer this softer scent, but it comes down to how delicate your nose is! We’ll discuss the intricacies of everybody’s smell systems in a future blog post. Soy candles haven’t been around a long time, with soy wax only being invented back in 1996. Soy wax is a vegetable wax derived from soybean oil. To get to the oil, harvested soybeans are cleaned, dehulled, cracked, and rolled into flakes. The oil is then extracted from these flakes and hydrogenated, a process where the unsaturated fatty acids present in the oil are saturated. This alters the oil’s melting point, making it solidify at room temperature and ready for candle making. Environmentally speaking, while it’s a better choice compared to paraffin wax, it still has a few eco issues. Soybean oil is a byproduct of the massive soybean industry and there are concerns over deforestation and the use of pesticides and fertilisers used to grow soy beans. To get past these problems, a number of our brands including L:A Bruket only use organic soy wax in their candles – check out their candles here. What is Soy Wax Blend? Soy wax is often blended with other waxes to capitalize on the best of both waxes. Common mixes include adding other vegetable oils like coconut, and waxes like palm or beeswax. A number of candle makers also choose to use paraffin/soy blends. Generally, if the blend contains at least 51% soy it will be labelled as a soy wax blend. You can check out our soy blend candles here. Soy wax is slow burning so you’ll get a longer lasting candle for your money compared to old school paraffin wax candles. Soy beans are natural, renewable and biodegradable. Here are a few of the bestselling soy wax scented candles. Check out the full soy wax candle collections from top brands such as Skandinavisk, P.F. 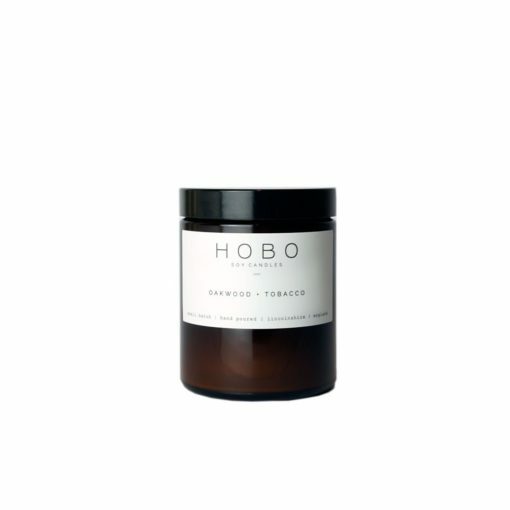 Candle Co, Hobo, The Nomad Society and ROAM by 42 Pressed available at Osmology. Coconut wax is the new candle wax on the block and we are seeing more and more candle makers choosing it as an option. It’s definitely more expensive to use, but because of it’s great scent throw and even burn many think it’s worth the price tag. Coconut Wax is a soft creamy white color and is the eco-friendly choice. Harvesting the oil is an organic process with coconuts themselves being a sustainable high yield crop. Coconut wax candles are slow burning and luxurious. Here are a few of the bestselling coconut wax scented candles. Check out the full coconut wax candle collections from top brands such as Boy Smells and Evermore available at Osmology. Before Soy and Coconut, there was Paraffin. Paraffin wax (also known as mineral wax) is still popular with many high street candle brands because it holds colour and scent very well, and being a by-product of the oil industry means it’s easily available. Green-minded people often label paraffin wax as bad because it’s made from the leftovers of the crude oil refinement process. This doesn’t automatically make it toxic, and there’s always the upside that the parts of the oil that would otherwise be discarded are getting used. Mineral wax holds a lot of scent, so if you prefer your candle to pack a scent punch it might be a good option. Beeswax is the oldest known type of candle wax. It dates back to the Egyptians, who dipped papyrus leaves in the wax before burning them. However, it isn’t often used for scented candles as the wax has it’s own beautiful honey aroma that doesn’t easily mix with other scents. Beeswax candles are considered the healthiest as they are smokeless and sootless, and actually can help purify air. Beeswax is sourced naturally from bees; they create it by eating honey and make it as part of their daily hive building activities. Many scented candle makers who use beeswax in their creations will mix in another type of candle wax. Boy Smells use a mix of coconut and beeswax to make their candles, you can check out our range of their candles here. Rapeseed wax (sometimes known as Canola Wax) provides superb fragrance retention, scent throw and extended burn time. It’s a fairly new wax for scented candles, and independent brands (especially those based in Europe) are now beginning to use it as a locally sourced alternative to Soy Wax. Rapeseed is a bright yellow flowering plant from the mustard or cabbage family that is a sustainable, renewable, and greener alternative to mineral wax or waxes produced through intensive farming techniques. 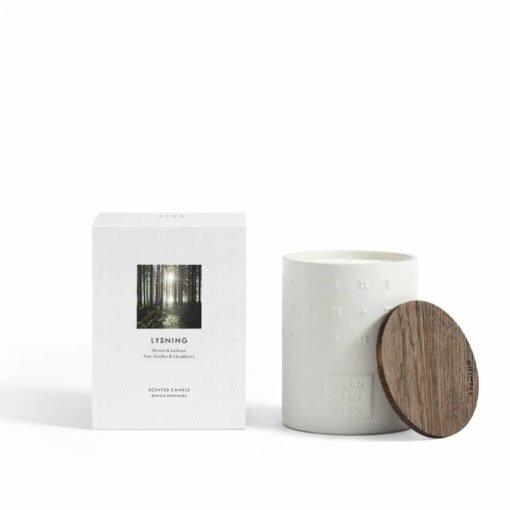 Skandinavisk recently launched their premium Escapes Collection made from Rapeseed Wax. Rapeseed wax is locally grown meaning a smaller carbon footprint. Rapeseed wax throws scent well and burns slowly. Here are a few of the bestselling rapeseed wax scented candles. Check out the full rapeseed wax candle collections from top brands such as Skandinavisk available at Osmology. This entry was posted in the guide. Bookmark the permalink. Welcome to Osmology, the best place to find your favourite scented candles and home fragrances. Offering an expansive, carefully curated collection of home scents from the world's most exciting cult brands, we aim to inspire everyone to enjoy the quiet moments at home.